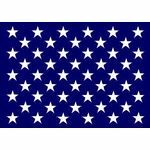 Each 22-9/16 in. x 31-15/16 in. 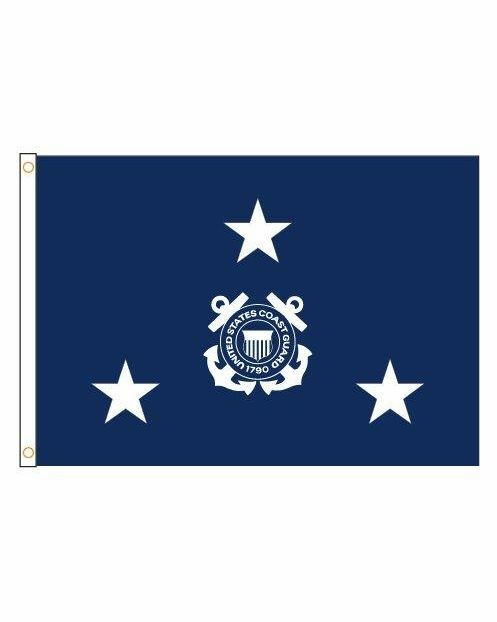 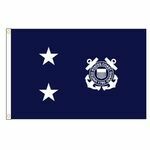 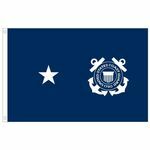 U.S. Coast Guard Vice Admiral flag (3 stars) is printed on heavyweight nylon with two rows of stitching on the top and bottom, four rows on the fly end and finished with a canvas header and brass grommets. 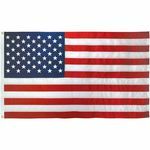 Made to U. S. Government Design Specifications in the U.S.A.